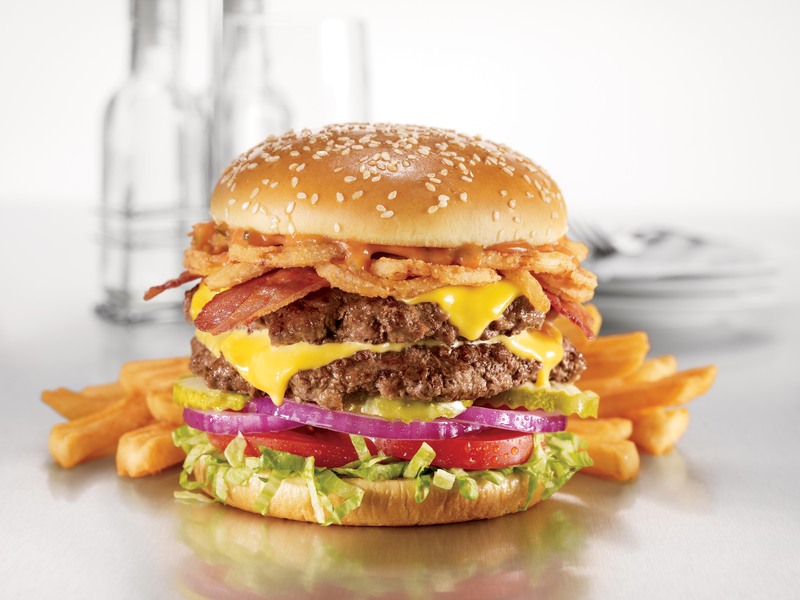 Now, when we say that this is a very HD picture of a burger, we really do mean it. Gaze upon this high definition hot meat sandwich very much at your own risk. There is a very good chance that this HD burger picture - so much more HD than the universe ever intended a burger picture to be - might just be powerful enough to turn you off burgers forever. It really takes you far too close for comfort. You have been warned. You can click here to see it.